A warm welcome to the start of the 2017 School year. We do hope you have had a fun and restful summer. A special welcome to our new families. It is great to see our new learners making friends and already settling into their new school. Let's hold hands this year! It's always a great to hear the school bell ring in the morning and watch children walking through the halls on their way to their classrooms. It is an absolute pleasure. The classrooms are humming and learners have returned ready to learn. We are off to a great start to the school year. 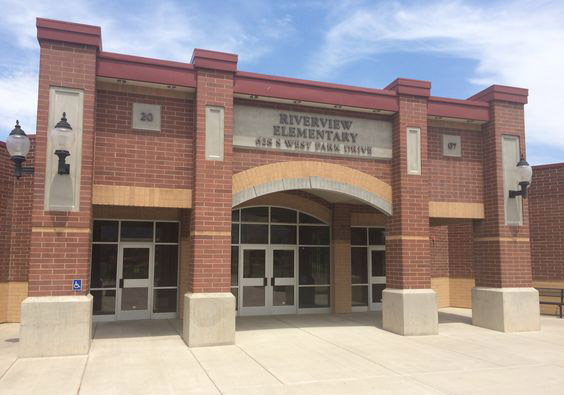 Riverview faculty has a few new members this year. We have begun in some professional development together and are really looking forward to the year ahead. We warmly welcome: Sarah Ward, Bethany Prestwich, Misty Jones, Karen Grant, Chelsea Ferrin, Kirstie Marx, Hannah Curtis, Jackie Jarvis, Jordan Raddatz, Jeanette Taylor, Joanna Jenkins, Roxanne Shumway, Natalie Kramer, Trevor Nelson, Alisa Merrill, McKenzie Sandberg, Michelle Marziale, Tricia Ballard, Braxton Gross, and Mason Miller. We thank you for your donation. Donations help pay for field trips, assemblies, school wide activities, special grade level events, and more. The suggested one time amount is $25 per student for the entire year. All other extracurricular fee amounts available on RevTrak will be updated throughout the year as the clubs/groups begin. Donations may be paid at http://riverview.nebo.edu/registration. Nebo Boys/Girls After-School Club (formerly 4-H). Fall classes will be released shortly. Clubs will run mid-September thru December. Beginning in mid-September, Morning club/homework help-Receive no cost homework help from a certified teacher every morning from 8:00-8:30 am. Students who arrive after 8:30 a.m. will not be permitted into homework club as the teacher will be dismissing students to get ready for their school day.